Covenant Relationships: Are You Attracting Bad Vibes? Believing that you are attracting them is an avenue for you to blame yourself unnecessarily. Proverbs 23:7 is a brief statement with a strong message many people tend to misunderstand- the way you perceive yourself determines how you carry yourself. How you carry yourself determines how you are perceived by others, and this leads to how others would rate you. If you perceive yourself to be a second-class human with no value, others will see it too, and they are highly likely to treat you like a doormat. But that does not necessarily mean you will attract a bad partner; I've seen people with terrible self-esteem issues happily married in spite of arising issues. And I have seen people with good self-esteem being fooled by deceptive tongues that almost destroyed them. It is not your attraction factor that comes to play, but rather your power of discernment. I believe if you can master the art of discernment, you can save yourself a lot of heartache and be more responsive to opportunities. 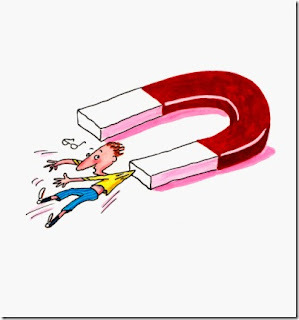 You're not attracting bad vibes because you have a magnet for them. You are entertaining bad vibes because haven't sharpened your sense of discernment. You haven't learned any lessons from bad experiences in the past, and you haven't come to a full knowledge of your identity. If you are yet to successfully discern who you are and what you stand for, it is easy to get carried away by the wrong-sailing tongues of others, and end up blaming yourself for attracting them. News flash: they are everywhere like a flu virus during winter but not everyone comes down with flu because some people strengthen their immune system with vitamins and others with vaccines. Same way you need to strengthen your sense of self and be able to spot the wrong people, wrong bosses, wrong friends, and wrong relationships before they break you.